Question: How can I fill the desire of the friends if I don’t understand what they want? Answer: You do understand what they want because they want the same thing that you want. They want to reach correction, to discover the force that operates in nature. This force is called general nature, and all of creation belongs to it. So you want what your friend wants. Besides, everyone has different corporeal desires that may be known to us, everyone has his own personal worldly desires that have nothing to do with spirituality. But in terms of the sublime, spiritual desires and goals, you should be clear about what happens with the friend; so try to support him. The support is to raise the friend’s spirits and give him hope and power and a feeling of elation in attaining the goal. Help him in every way possible. Evoke in him the feeling of how great the goal and the upper are. Show him how you can humble yourself before the group, since it is only the small that can receive from the group, and so everyone must lower himself before the group in order to receive something from it. There is a spiritual force in the group that resides among us. The group wasn’t founded by us. It only seems to us that we have gathered by ourselves and formed this group. Of course it isn’t true! The upper force arranges the group for us; so don’t think that we have found one another just by chance. It is all done by the action of the general force that brings us together. Therefore, we have to understand that on the one hand, there is a hidden force that operates among us, but on the other hand, we have to act according to it in order to gradually approach it and begin to feel it. Then we can start the mutual work among us. Thus by the changes in us, we gradually begin to approach the revelation of the upper force by taking on its attributes bit by bit. Then we discover these attributes in us and this means that we discover the upper force. Question: How can I nullify myself before the friends if I already feel that I am lower than everyone else? Answer: Feeling that you are lower than everyone else does not mean feeling a flaw; rather, it is the opportunity to be incorporated in everyone and to receive the greatest Light of Nefesh from them. If I am small, I can be incorporated in a small system or in a large system, it all depends on the level of my self-annulment, which is seemingly a simple action. If I nullify myself before a small system, I am like a small mouse that was born to a family of mice. But if I can nullify myself, with my big ego in a large system, I am like a small prince in the king’s palace. It all depends on top of which ego I nullify myself. So to be small is no small thing. Although the small receives only the Light from the very first level—the Light of Nefesh, the Light of Nefesh is unlimited. It is good to be small! It is the best time to advance. It is the small who advance. Despite studying the anatomy of the body, we still don’t quite understand the connection between all the systems in the human body. If we take the brain for example, there are “envoys” of the brain all over the body without which it wouldn’t know what to do and how. Similarly a head of state employs an array of qualified experts in order to function optimally. We mistakenly believe that the “main processor” is in the head, but if we look deeper into that matter we will see that it doesn’t exist in our body at all. If we look closely at a person, we will see a lowly mortal, so it isn’t clear where he receives orders from and where his software is. In fact the relevant data come from the environment, and that is what operates us. I hope that in the near future we will discover that a person’s life depends on connection and his readiness to mutually cooperate with the environment. From there the brain receives orders that result from the degree to which the society needs a certain person. And if he isn’t needed, the brain doesn’t receive anything. In our bodies, every second cells die and are replaced with new ones. In society, while there is need for you, you are alive, and when not, the brain receives an order and different processes begin at the end of which a person leaves his corporeal role. The world of Atzilut expands the vessels. If at first I only had a small discernment. a point, one Sefira, then in the world of Atzilut a whole Partzuf of ten Sefirot is created instead of the one Sefira. This means that we can already separate all the attributes much more than before. If before I could hardly see the difference between two attributes, since there was one point, now the whole point grows ten times larger and it includes different discernments that are interconnected. So the world of Atzilut allows me to clarify things and to perform corrections of the world of Nikudim. In the world of Nikudim there are only points—a black point of Malchut that was incorporated in all the Sefirot. Here, however, in the world of Atzilut we don’t work with the same Malchut that is simply incorporated in all the other Sefirot as a black point, but with Malchut that includes the first nine Sefirot and is also included in them. Thus the common attributes of the first nine Sefirot are created with regard to Malchut, and we can see these on the background of those. Thanks to that, we are able to choose, to clarify, and to understand what is going on. It is like getting closer to an object, which at first I see as a point. The closer I get, the more I begin to see in a fuller scale what goes on there. Thus a small point on the map can grow into a whole city. This is exactly how the world of Atzilut operates by helping us see every phenomenon on a large scale. 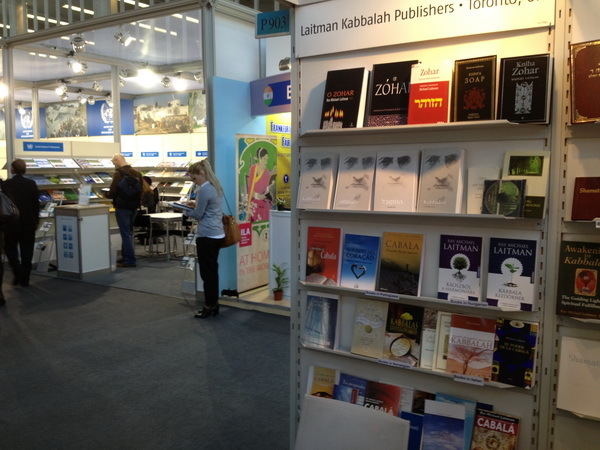 Kabbalah Books was present at the world’s largest book fair in Frankfurt, which ended yesterday. 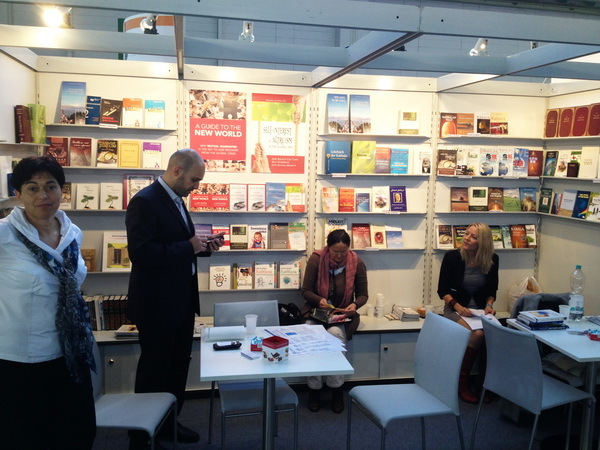 A team of wonderful friends from Europe gathered in Frankfurt to make this fair a success. 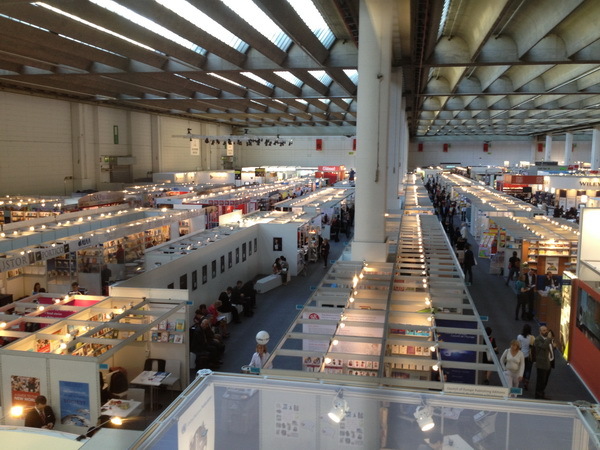 We had promising meetings with book publishers from Spain, Holland, Italy, Lithuania, the Czech Republic, Mexico, Brazil, China, Croatia, Sri Lanka, Ghana, and Ethiopia. Most of our current publishers renewed licenses with us to publish their second and third books and we added a number of new publishers in new languages. “Grice is concerned that, as history has shown, currency debasement will lead to ‘social debasement,’ or a rise in social disorder as trust breaks down on a large scale. “That ‘credit hyperinflation,’ however, has only served to enrich those at the top at the expense of those at the bottom. “Grice looks at some examples from history where currency debasement led to a complete breakdown of the social fabric of communities like the Roman Empire, France during the revolutionary period at the end of the 18th century, and Weimar Germany. “In every case, citizens turned on each other as a sharply devalued currency led to a breakdown of trust between members of society. There is only a small chance for humanity to come to its mandatory intended unity peacefully, mastering integral education and upbringing. Will they be able to pay attention at this opportunity or will they obey their egoistic impulses? Question: The external world around us is reflected in our heads in the form of a certain cognitive structure. This structure, which was formed with the help of our five senses, does not correspond to the true picture of the world. Hence, the internal image of this realm within our brains is quite distorted. When the knowledge is being transferred, it has to be verbalized either orally or in writing. Strangely enough, when we describe an N-dimensional model, we still define it as a one-dimensional space; it means that we allow multiple misrepresentations. Some time ago, Aristotle mentioned that “the one who tries to put one’s knowledge in writing is unwise, so is the one who later on hopes to find it intact and thinks that it is ready for further use.” Why has nature created such a weird and complicated way to visualize a real picture of the world? Why in order to transfer knowledge are we using a tool that is so “defective”? Answer: Everything that nature does is perfect, although we use our trivial, tiny potentials to take advantage of it at our current low egoistic level, like a monkey playing with a computer. We will never comprehend the world that exists outside of us if we don’t acquire qualities similar to it. Aristotle and Plato clearly understood this fact and described it in their works. They thought that the direction would develop egoistically (as in our time, modern science), for its own goal. Thousands of years of evolution that were flowing in this direction led us to a deadlock and made us finally realize that we are simple little creatures who think of themselves too highly because of our narrow-mindedness; at this time, we have to turn the wheel in a new direction. However, not too many people understand it! There are very few special individuals who not only clearly recognize that we have been trapped into a deadlock, but they also know that our further development can happen only through profound changes in human beings. A man is the lowest developmental stage of nature, not the highest one. This is a problem. The only thing that the lowest level of nature can do is start climbing back up. To the extent of our ascent, meaning the modification of our properties from egoistic to altruistic, from linear and individual to global and integral, we will acquire new tools for analysis, synthesis, and conceptions. Then, we will create new devices, an innovative cognitive apparatus, and a novel language. Thus, everything will be subject to changes. It’s as if we are being born anew internally by perfecting ourselves. Both components of which we are comprised (desires and intellect) will also change. The major difference between them is that the desires are original, whereas the intellect is ancillary. So, if we intend to explain to a person what the world is that he lives in and what “externality” is, we have to change him; otherwise he won’t understand us at all. He will be on the same wave with the egoists who describe the world using a “square” system that is similar to them, not more than that. None of them realize what the authentic realm in fact is, nor do they feel it whatsoever. Only the deadlock that we are in at this time can “shake and sober” us; it can force us to think in quite a different way by triggering tremendous sufferings. Instead of changing the world around us, we will have to change internally. We will stop considering everything around us as “damaged,” but rather will re-direct any modifications inward. Only through our internal changes can we alter the society. When the society (us included) starts changing, everything there is (inanimate, vegetative, and animate levels of nature) will be exposed to us as a new upper world. My next step is as follows: There is no “us,” only “I”; everything is inside of me and a part of me. Each time I rise to a new step, I see the whole world inside of me, in my perception and sensations. Then again, the world seems to me as a place that is alienated, separated, and shattered into various conflicting states. So, I have to assemble all its parts back together again—within me, and to relate to everything with love and unity, without any exceptions. This is the way I ascend all 125 steps, each time increasing the range, the resolution of the picture of perception. With each step, I take a deeper look into the shattering and correct it to the corresponding degree. It’s my perception and my sensation that was broken. It fractures our unity into small splinters, partly distant, opposite, and hateful to me. In his “Preface to The Book of Zohar” Baal HaSulam writes: …we should be so grateful to His Providence for having created that polished mirror in our brains, enabling us to see and perceive everything outside of us. This is because by that He has given us the power to perceive everything with clear knowledge and attainment, and measure everything from within and from without. Without it, we would lose most of our perception. In other words, we would never attain the only authentic state that exists. We simply would not get any closer to it, nor would we understand or sense its depth if we didn’t go through the shattering. This is why our authentic state is deliberately broken into pieces and each of them opposes, contradicts the others. What once used to be one whole now is split; the parts that were similar now are antagonistic. It’s beyond our imagination. We are trying to reconnect them through our own efforts by bowing our heads and consenting with our friends. I want to fill the gaps between them; I would do everything I can to reconnect them together inside of myself due to my love and correct attitude. By persuading myself in this way, I come to a profound understanding of the essence of Malchut of the world of Infinity, which in fact is my unified soul. The depth of our realization depends on the revelation of the shattering and the understanding of its opposite, the wholeness. The gap between them is so huge that it requires special tools, the vessels. So, it’s said that we have to enlarge our vessels “620” times, meaning to reach a depth that is comparable to Infinity. Besides, in the gap between both states (broken and complete) we reveal the Lights of NRNHY. Actually, everything we feel in this world is built upon contrasts: bitter and sweet, dark and light, hatred and love, etc. It even applies to music and perception of colors. We perceive everything as the difference between its corrupt and corrected forms; one is always opposite the other. So, Infinity has always been perfect. We are now talking about our attainment: When we sense something that doesn’t have its opposite, we can only feel the tiny Light of Nefesh–de–Nefesh. In our world, no single particle of any substance lacks two poles, a plus and as a minus. Even an electron (charged negatively) or a positron (charged positively) both still hide opposites within them, which are yet to be discovered. After the shattering occurred, there is not even the tiniest particle that doesn’t contain its opposite, even though it presents itself to us only in one aspect, through one borderline, without revealing the other. Initially, while the creature was in the world of Infinity, it was in a totally unconscious, mindless state. It had nothing to make comparisons with; there was no space between the two poles—a place for thoughts and perception. Then, the Infinity split into the parts of the world of Nekudim. Now, we can understand and sense its depth. This is the perception of reality, to which we aspire. It’s our life, an unprecedented harmony, a symphony of minuses and pluses that encompass the entire attainment, the whole understanding between the two states: corrupted and whole. Mutual incorporation means that everyone is incorporated in others. I restrict my desire, which means the patterns in it, trying to take from and to incorporate in the patterns that are in others. I look and see how everyone around me enjoys different things, while I haven’t felt that all this can be pleasant. If a person remains indifferent during the lesson, it means that he cannot be incorporated in the desires of others. I see that there are some who are actually burning and some that fall asleep. It all depends on the impression we can receive from one another. This is called mutual incorporation; I try to enter the other and to be impressed by his desires. In order to do that, I need to first annul myself, like a small child since otherwise I won’t be able to be incorporated in others. I make myself a zero, the black point of Malchut. Now I can enter the other and see what is there inside him. He is impressed by something and I want to be impressed with him. Then I can absorb his thoughts and desires, everything that is in him. I can reformat my desire, which I have restricted and turned into raw material, and give it a form according to the one that is in another person. It turns out that I copy and paste upon myself everything that is in his soul, and now my soul receives his inner drawing. I have pasted a copy of his image upon myself, just like you copy data from one computer to another, from one memory to another. In order to do that, I have to nullify myself and to prepare an empty space inside me. Then I have to enter the other and to take the data from him and to transfer it into me, into my “memory.” Thus my “memory” is filled with his data. But in order to do that, my memory must first be empty, and ready to receive new data. This is called mutual incorporation. What have I attained by that? I had my own desires. and now, in addition to them, I have the desires of someone else. Then I incorporate in the desires of another and then with another. Eventually I will include the whole world inside me. But only if I see myself as lower than everyone else will I be able to include everyone inside me, and by that become wiser than everyone. I grow and become greater than everyone, but it is thanks to the fact that I consider myself inferior to everyone else. That’s the way it works.